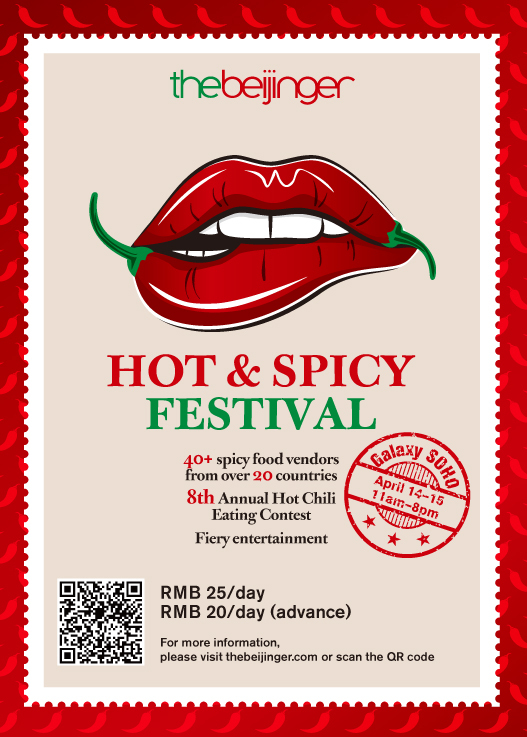 As you may all know, this coming Saturday and Sunday will be extra hot as our sister magazine, the Beijinger, hold their first Hot & Spicy Festival at Galaxy SOHO. More than 40 vendors representing 20 countries will make you feel the heat despite the clear and breezy spring weekend. The festival promises a weekend full of fun! If you haven’t got your tickets yet, it’s not to late to register — just visit this page. Anyway, if you’re like me and many others who just can’t resist those fiery buffalo wings or spicy noodles, it’s always helpful to know when to cool down, otherwise you might experience stomach cramps. I’ve experienced that recently and it wasn’t good! I could barely walk because I felt my stomach was turning like a washing machine. Fortunately the sensation dwindled as I relaxed and took a lot of water. With that said, I wanted to know more about the effects of spicy food on the gastrointestinal tract. So in this edition of Doctor’s Corner, we invited Dr. Wei Geng, a gastroenterologist at Beijing United Family Hospital. She gave us some tips on how to manage the stomach discomfort you might experience after eating spicy food. 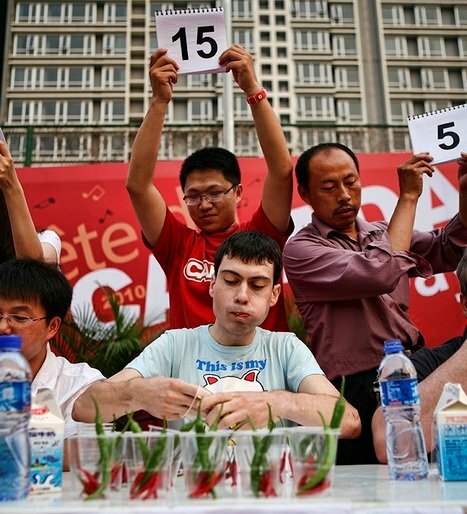 Here in China, a lot of people love spicy food but many foreigners can’t handle it. Do you think it’s possible to train and build someone’s spice tolerance? Eating spicy food is a personal eating habit. For people who have eaten spicy food since childhood, spices, peppers, chilis, and anything similar can be considered as part of their dining cravings. But for some foreign friends who are not used to pepper, this may be a challenge. If you feel spicy food is really delicious, you can try eating a little bit at first. And then step it up gradually, from less spicy to medium spicy to very spicy. In this way, your digestive system will adapt to the change of diet more easily. Many people experience stomach discomfort or diarrhea after eating spicy food. Why is that so? After eating spicy food, some people will experience gastrointestinal discomforts such as heartburn or diarrhea. This is not typical gastritis, nor food poisoning; these discomforts happen when spicy food interact or irritate the gastrointestinal tract, similar to irritable bowel syndrome. They are a manifestation of the temporary dysfunction of the gastrointestinal tract under the effect of chili or the spicy sensation. In fact, people have different degrees of reaction: it can range from no reaction, to mild, or even extreme especially to those with sensitive stomach and intestines. What are the ways to relieve the discomfort in the stomach after eating spicy food? If you can’t help eating spicy food but want to relieve the burning sensation in the mouth quickly, I suggest rinsing your mouth with cold water or even drinking iced water. But drinking is not recommended, otherwise, it will aggravate gastrointestinal irritation. What are the quick remedies to cool your tongue after eating spicy food? It actually varies from person to person. You can drink water or milkshake, or even eat bread. But the important thing is to listen to your body. Always eat in moderation, even if indulging in the spiciest food brings you satisfaction and enjoyment. Remember that anything that is too much may bring trouble. Writer’s note: Many publications have mentioned that a quick way to counteract the spicy sensation is by eating/drinking foods with basic pH levels, such as milk or chocolate. Spicy foods are acidic due to the natural chemicals found in chilis. This is a hot question: can eating spicy food help you lose weight? Usually, eating chili will make someone sweat a lot and that may increase the use of energy in the body, which in turn may help burn off calories. But there is not much research that confirms a person will lose weight by eating spicy food. 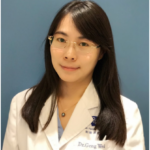 Dr. Geng Wei received her Medical Degree from Wuhan University School of Medicine, and was later awarded a medical Masters Degree from Renmin Hospital of Wuhan University (Hubei General Hospital), specializing in diseases of the digestive system and hepatology. Dr. Geng has accumulated 14 years of experience in gastroenterology and hepatology. She is well versed in the endoscopic screening and treatment of early gastrointestinal cancer,magnifying endoscopy, PEG; In addition, she came to specialize in digestive system imaging: endoscopy, ultrasonic endoscopy, gastroscopy, colonoscopy, choledochoscopy and ERCP. Dr. Geng has developed expertise in the diagnosis and treatment of various liver diseases, including hepatitis, liver cirrhosis, inflammatory bowel diseases (IBD), and pancreatic diseases. In addition to her clinical work, she is published in prominent medical journals. Dr. Geng went to the University of Mississippi Medical Center as a visiting international doctor.